Everybody knows that Portland is a bicycle friendly city. Riding a bike is a great way to commute and stay fit. Mountain biking as a recreational activity has enjoyed a recent resurgence in popularity what with there being so many incredible advancements in bike technology. If you’re a mountain biker in Portland, there are so many trails for you to choose from, it might be a little overwhelming. We have an abundance of incredible parks and locations that cater to a variety of different mountain biking skill levels- so to take the guesswork out of picking your next trail- here’s a list of some of the best. The trails in Powell Butte Nature Reserve are smooth and wide, taking you up and down grass fields with fairly gradual climbs and descents. You’re surrounded by gorgeous scenery and about nine miles of trails. Most people recommend these trails if you’re biking off road for the first time. Don’t forget to stop for the view from the top, where you can see a Cascade peak in almost every direction on a clear day. 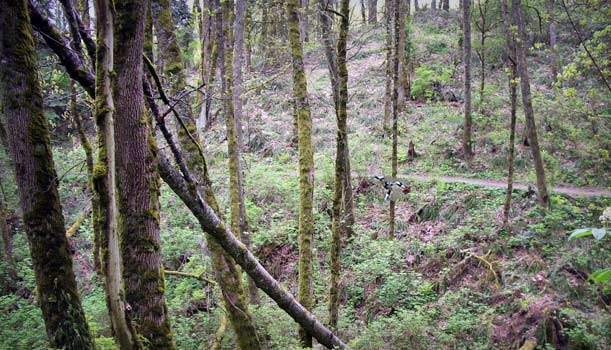 Then, if you’re looking for more, drop over the backside of the butte and ride through the trees where all trails connect with the Springwater Corridor route. It’s about 10 minutes of real effort to get back to the top. Located off Marine Drive in north Portland, this paved tour is great for families and beginner mountain bikers. The route parallels the Columbia River and offers outstanding views of awe inspiring Mount Hood. All surfaces are paved, and it’s a great dog walking route too, just make sure you bring a leash. The trail is approximately 7,6 miles long and is open year round. This trail is 8.1 miles of challenging descents, tough climbs, and great views. It is a little more advanced than other trails in Forest Park, and is not as well marked- but promises exhilarating thrills for the determined rider. Don’t forget to bring a windbreaker in a the rainier months. Watch out for a few hazards, as it is more remote than the other routes in Forest Park and there are many hikers and runners. Use caution when passing, and always control your speed. 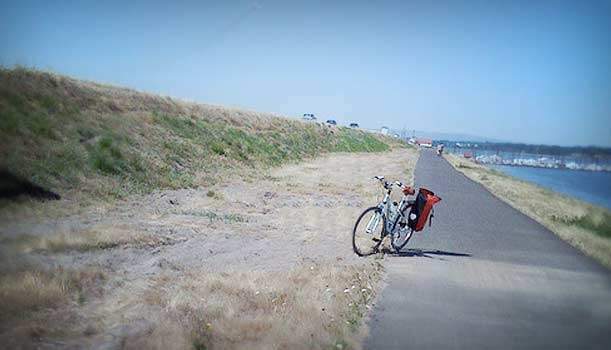 On the eastern edge of Portland along the Columbia River is a 7,8 mile gravel mountain bike trail that’s great for the whole family, full of lots of side trails and double tracks. Difficulty level is intermediate, and the trail does get a little muddy during the rainy season. Strong winds also blow across the Columbia so always bring a windbreaker. Riding up against the elements isn’t always pleasant. This ride is better suited for more advanced riders, and is more of an all day excursion than an exercise ride. It’s a little farther outside of Portland, so is probably better suited to a weekend trip. 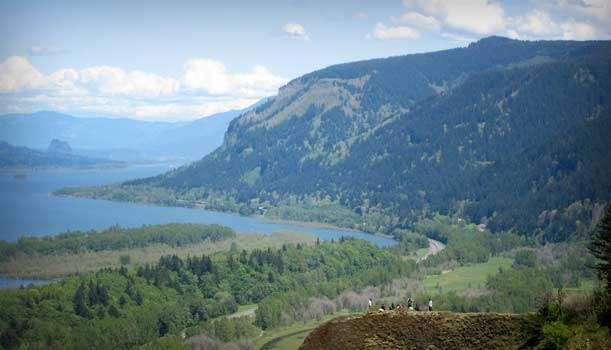 Your trail begins at Lewis and Clark State Park and will take you on a very hilly and challenging but rewarding loop tour. After a hard day of biking, take a break from the and explore Troutdale, which features a variety of unique shops, restaurants, and museums. 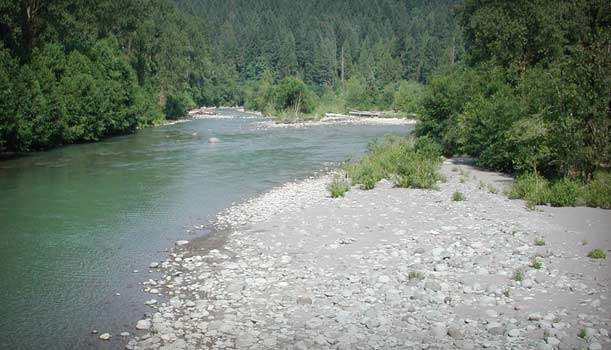 Afterward, it’s a short ride back to your starting point at Lewis and Clark State Park. Don’t forget to stretch properly before this one, because you’ll really be using your muscles! Portland Chiropractor Dr. Charles Goldston, D.C.
Dr Charlie loves bicycle riding/racing and supports the local biking community. Many patients that come through his office are there due to sports related injuries associated with bike riding. Portland, Oregon is a great city for street biking and mountain biking. 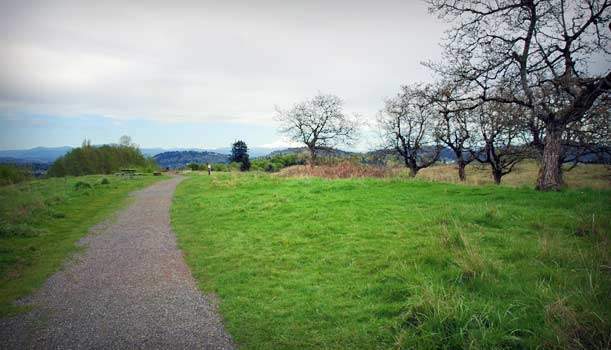 The city is friendly to the inner city bikers while the natural beauty of the Willamette Valley provides ample mountain biking trails some of which are located in the heart of town. If you find yourself in a situation where you are dealing with some pain from a biking injury or just wear and tear from long rides, give us a call. We are happy to answer your questions and our Clinic accepts many major insurance providers. Thanks for reading, come back soon to read more about Portland, biking and staying healthy while staying active.